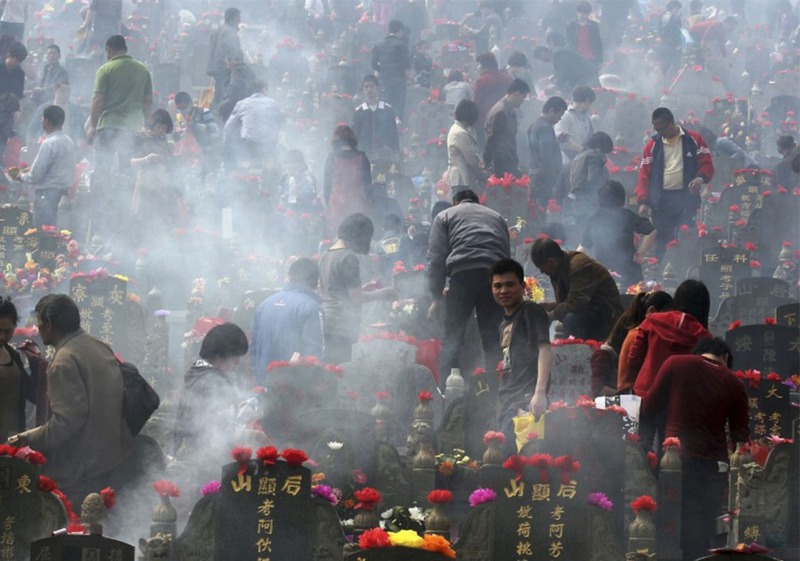 The Qingming Festival is celebrated in China on the national Day of the Dead or what is also paradoxically known as the “Cleaning day”. This tradition which dates back more than 2500 years consists of visiting the cemeteries to offer the dead paper reproductions of everyday objects. The repertoire of offerings couldn’t be less orthodox: McDonald’s food, money, iPhones, household appliances, dog food and designer clothing… A surprising funerary ritual that mixes spirituality with today’s most brutal consumerism.